While Size is nice, is it still going to be a 5400RPM with a low cache to offset the price or is is actually going to be an upgrade in that regard as well were we will be able to see a 7200RPM? I know there is no chance this is an SSD so I am not expecting more then that but it would be nice to get some sort of upgrade. I think that console and controller are pretty amazing and would love to add that to my collection. I love the blue and agree with others that that controller is really cool looking very sharp. Think I can speak for not all but most gamers that SONY you have done an amazing job and much appreciated. Look forward to seeing what else you guys keep coming out with. So who is selling this on the 24th????? I’d buy it but isnt PS5 around the corner as well. Since I have seen this, I have yet to see what retailers will be taking pre orders for this. Even though sony says go to there site ps.com and there is a list…. an there is no list! Just a redirect / vicious circle back to support that doesn’t know either! Why is this so difficult Sony!? I even stopped by GameStop an they have no clue! I wonder what BestBuy has to say cause I’m going there next. But why say there is a list available for the retailers that will be participating, AND THERE IS NO LIST! How do I get one or two of these? PLEASE! I pre ordered from currys only to get a message saying sorry no stock left and got refunded then saw a post saying amazon had to cancel all there pre orders and was relisting at ten am next day i was doing a page refresh constantly from 9:30 saw it in stock at 10:01 ordered it and was out of stock before clock turned to 10:02 so amazon had sold out in under a minute! So did you ever figure out if Best Buy is gonna sell them? I’ve ordered one and extra controller and headset would like a matching vr headset with matching move controllers to but after trying to find out an answer could any one reply to this question how many controllers and headsets are being made available so that we can get an answer as to how limited they are? Wait-did amazon US already go live? Amazon went live and sold out and Sony never said anything!! we have been waiting, WAKE UP! Does Anyone know what website retailers will be selling this ? What exact time is the PS4 releasing on August 24 it’s florida time so plz let me know we’re 3 hours ahead of California? excelente espero llegar a tiempo a comprarlo se ve elegante . I called best buy customer service and they don’t F### know nothing. I really want to get one, hopefully 2 if it’s possible. I hope this help you guys, a least already known where to buy it. Va estar disponible en best buy y target, pero ni ellos saben si va a ser venta física en la tienda or en el website. Suerte a todos para que la consigamos. I live in California, it’s 10:50pm, and it’s already sold out everywhere, how the F*** is that even fair? I don’t even have a PS4 yet, and I was looking forward to buying one of these, but I can’t even do that now, Playstation said it would be available August 24th,2018, it’s August 23rd, 2018 and it’s sold out, F***ing ridiculous! It seems that it’s 8/24 12am EST. i got one maybe just over 8/23 10:10 pm PST right in CA on BestBuy. You can also found it on target which maybe the last chance cause it still doesn’t go live. Had best buy page refresh every 5 seconds until add to cart became an option, was “unavailable” to add to cart until it was sold out. Yeah sure, how is that even possible? I use BestBuy app on my phone to get one, though it always says something went wrong. Looks like the scalpers on ebay are the ones who magically picked all the consoles up. Myself will not pay a crazy price for this. I was able to snag one on Best buy the second add to cart was available. I agree the product page wasn’t loading so in the app home screen there is browsing history which showed add to cart button..I clicked and finished my checkout in 10 secs..this gorgeous console is being delivered tomorrow..yayy !! Disappointed that I had amazon best buy and gamestop all open and logged in last night and each one failed. I right away at 12.01 ordered from gamestop than when I clicked confirm order kept refreshing after it says cart is empty than magically sold out. Next best buy the same thing added to cart went to check out and said sold out wasn’t even a minute very disappointed at this point. Feel like my almost 5 year ps4 is getting slow and fan is getting loud at times wanted to replace it with this. Hoping to get one today from another website for the 499 price. This is absolutely ridiculous. Sony decides to thank the “fans” with this?? What a load of BS. First off, its $500 so off the bat we have to pay $100 more just to get it. That is assuming you CAN get it. Sony has sold 500 million Playstations so of course they decide to thank everyone with…wait for it…50,000 units. Wow. Lets make a super rare console and then ship around 1000 or more to websites and you tubers for free so they can get video hits. That was a nice “Thank you” to the fans. Then the rest of the 49,000, world wide mind you, will be purchased by the “real fans” so that they can profiteer them for $2000 on Ebay and Amazon. Nice job jerks. I have been with Playstation from day 1 and I was looking forward to upgrading to the PS4 Pro. Not anymore. No way am I going to buy one now. The launch PS4 still works fine. Wow, what a thank you! An overly limited edition that is available only through scalpers for $1,2000 at a minimum. Thanks for nothing! Way to show your love. I’ll show mine by recommending Xbox One X, much faster load times, better graphics, UHD bluray, etc. The 500 Million Limited Edition shows that Sony care for SCALPERS, not GAMERS! The consoles was sold out instantly while the checkout link posted. No matter what EBgames or Bestbuy.ca. Meanwhile several 500 million consoles were shown on Ebay. The price is US$1000+ averagely. What the XXXX can I say more? Got some responses from my friends in Canada and the States. Totally the same situation. I thought the scalpers have got consoles much earlier than so called ‘pre-order’. If there would be any ‘milestone’ edition PS products someday. I thought what the players are supposed to do is ‘GIVE UP’. We have nothing but desperation. Stayed up all night and of course I didn’t even get a chance to even add to a cart. All gone in seconds and now Ebay is flooded with re-sellers. How does this keep happening? How do he people who actually love and want your products get left out in the cold while the people just trying to turn a profit always get their hands on your products first? I have never wanted anything to bad in my life and now unless I spend upwards of $900 I won’t be getting one. There has to be a better way. 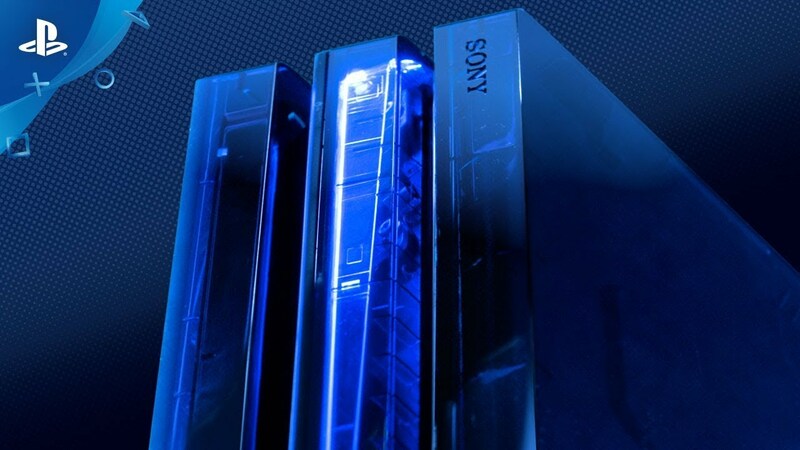 The release for the PS4 500 Million Console was very piss poor on Sony,Gamestop, Best Buy, Target and Walmart’s and it’s even more of an absolute joke on eBay considering practically every unit sold is on there for double and even triple the price. Everytime Sony does these online only limited systems it is always a joke. Just look back at December 2014 for the 20th Anniversary Console fiasco. The difference is the 20th Anniversary has more value being only 14,300 units were produced unlike the 500 Million is 50,000 units. I will just wait till the hype and price goes down on eBay and it is just a matter of time and it will. Those so called “gamers/collectors”, but in reality scalpers will eventually be stuck with the system cause it does not sell for there golden price and they will lower the price back down to a reasonable selling price so they can get rid of it. I have seen this happen time and time again. Sorry to hear everyone that missed out. :( This should have been a one console per person offer. This should have been more than 50,000 units (why not 500,000?). The announcement was made too early and incorrectly saying there were retailer links there. Retailers were poorly informed. Sony could have done better for its fans. It should have been listening and responding to posts on this forum. It was a poor and stressful way to celebrate with fans, on behalf of a marketing move. Sorry again, to all of those that missed. And sorry that no one on behalf of Sony was here to listen to its fans. Sony (and the industry as a whole) should try to do something the future to prevent this mess from happening again (I put more faith in Sony than Nintendo at doing this). Also doubtful Sony will ever respond to negative comments on here (they only seem to respond to positive ones) and also doubtful that they will provide any update or heck even say sorry for this matter (that they messed up). I hope nobody gives in to these scalpers and they sell them back online at the 499 price. That would be nice. I’m just STUCK on how this console wasn’t available for pre-reserve but yet literally EVERY retailer was SOLD OUT before August 24th. I’ve been on this console since earlier this week up til August 22nd & I haven’t seen it up for sale ANYWHERE. So on the 23rd @ 11pm to 11am 2day I was up on 5 different sites with all my accounts open in witch I did NOT see this system. Just think it was unfair that it was announced to be released on the 24th/2day & it was actually blindingly available on the 23rd. Listing on Amazon for PS4 500 million at £1050! Is it at all possible to create a list of the Numbers from 1/50,000 that were a milestone for these consoles? When I receive mine I wanna know if my number will represent something special for me as a fan. Congratulations to those who managed to battle and get one! My brother and I managed to get 2 each. Very nice! Woooop woop, Hallelujah! Got 1 and Im super Duper Happy!! It was a total bloodbath trying to get it. I beat the bots this time! Really wish this console launch was done in a different way. For instance, have it invitation only, giving the first opportunity to purchase to long time Playstation Plus users. By doing that you are maximizing the probability that units would be going to actual Playstation players/fans,.while at the same time decreasing the chances a user having multiple units. I would make these invitation only, commemorative sets, include the plated numbered console, customized with the user’s gamertag on the plate, plus all the other goodies like, stand, camera, controller. Thereby decreasing the chance that these users would resell them with the customization. And if the owner chooses to resell, Sony could actually track these units if they wanted, since they would have all the info. It would be an interesting experiment, but that’s a whole different topic. Then you could produce an un-numbered commemorative console set to sell to the general public, just like the controllers and headsets. If it was done this way, I wouldn’t feel so angry and frustrated that I barely had a chance at this special unit. And that I know many of these units are in hands of resellers, instead of the fans of Playstation, which they were initially intended. I am not reselling and I got one! I like the rarity it has and makes it more special. I was prepared to pay more and it’s totally worth it. Just drop a stack and be done with it.